Oftentimes when we are out in the community, we hear a lot of people saying, “I don’t get on Facebook anymore because there is TOO MUCH information on there!” They find themselves stuck in a place of wanting to stay in touch with their family and friends online, but not wanting to see a bunch of news about politics, sports, or anything else they are uninterested in. Does this sound familiar to you? If so, we have an answer! Facebook is a very user-friendly platform, allowing users to customize their news feed so they are seeing the content they WANT to see. 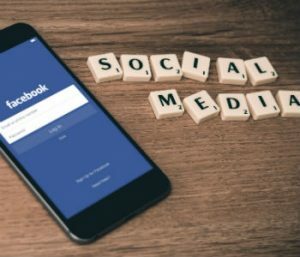 In this post, we will guide you through the process of ensuring your Facebook news feed is filled with more of the content you care about, and less of the content you don’t. There are several ways in which you can filter out the posts you don’t want to see vs the posts you do want to see. Scroll through your news feed and find the content you want to see anymore. Click on the post you don’t want to see. You will see three dots in the top right-hand corner of the post. Select “Temporarily Unfollow” to stop seeing posts from that specific user or page for 30 days. Select “Unfollow” to stop seeing posts from that specific user or page from here on out. If you’re curious in learning more about social media, feel free to email us at social@branditonline.com and we can set up a time to chat. Previous Post Community Reflection Next Post What Is Marketing, Anyways?